Hydrographic Surveying | Delray Beach, FL - Sea Diversified, Inc. Learn about Sea Diversified, Inc.
Sea Diversified, Inc. in Delray Beach, Florida, is a privately owned and operated company that provides hydrographic surveying and marine engineering services. We specialize in coastal and oceanographic surveying, mapping, environmental studies, and waterfront infrastructure design and construction. 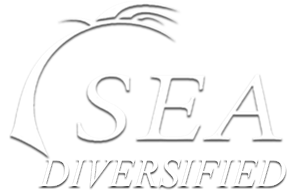 Founded in 2004, Sea Diversified, Inc. is licensed by the Florida Board of Professional Surveyors and the Florida Board of Professional Engineers. Trained and equipped with the capability to work in critical areas, our field crews respond quickly to service requests. We provide customers with precise and accurate data in a timely manner. The reliable brand of engineering competence we have is evident in the projects we have done with various companies throughout the United States, Central and South America, and several Caribbean islands. Get in touch with us to request surveying and mapping service quotes.